March is still just too cold for a spring break. 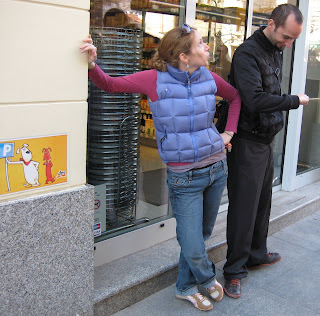 We debated for a long time (maybe too long) about what to do and where to go. 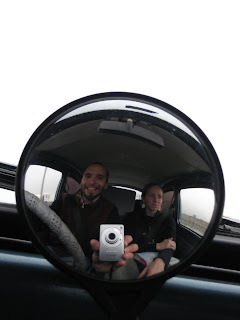 Finally, we jumped in Buba and headed to Slovenia. 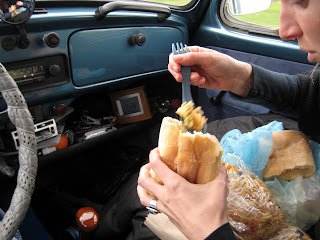 The drive north to the Croatian border was depressing. The river was swollen and I've never seen a natural resource so dirty in my life--for miles and miles every inch of the river was covered in plastic bottles and plastic bags. I can't pinpoint where the trash is coming from, but it must be more than just the stray bottle flying out of the car. More than one person has told me that they have seen locals throw bags of trash in the river. It makes me angry because Bosnia is a beautiful place. 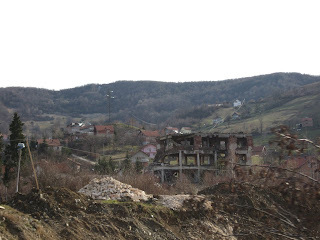 Closing in on the border, every second house was bombed out and abandoned. After an hour wait at the Bosnia/Croatia border, we crossed the river and felt like we had landed in comparative paradise. Croatia is clean, clear and well taken care of. Proof what money and tourism can do to help a country bounce back from war. The weather everywhere was so cold that we didn't do much that we would have liked. 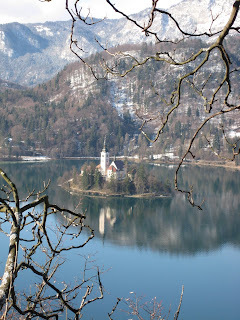 We spent one night at Lake Bled, a gorgeous mountain lake community in northern Slovenia. It's a place we would like to go back for sunshine biking. 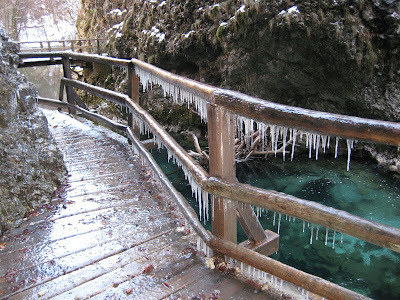 We did one great hike in Triglav National Park along a river gorge that was coated in icicles. 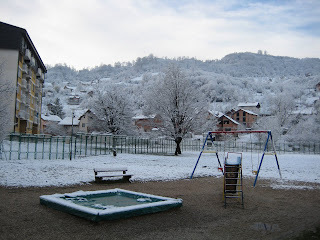 We also stopped at a thermal spa near Ljubljana and enjoyed some morning water exercises with the geriatrics. Slovenia is a beautiful, less traveled European country. The mountains, rivers and cities are pristine. 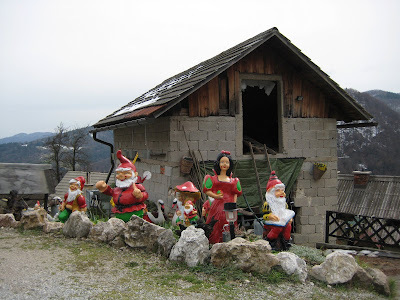 Snow White and the Seven Dwarves on Kum Mountain near Ljubljana, Slovenia. 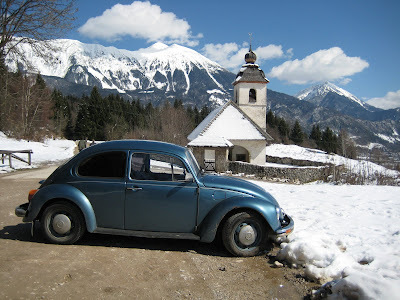 Buba made it to Triglav National Park! This walkway is suspended over the river and was covered in about 1/2 inch of ice. 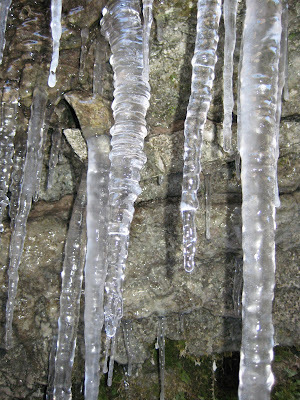 Every falling 'pop' made me cover my head in fear of falling icicles. An original '84 Olympics parking pass on a Jugo! For Sale: Open floor plan, light and airy. Great views. The bridge that Austrian-Hungarian Archduke Franz Ferdinand and his wife, Sophie, were driving over when they were shot by Gavrilo Princip, which led to the start of World War 1. Vucko, the 1984 Winter Olympics mascot. Where I shop for fruits and veg (and subsequently get ripped off!). 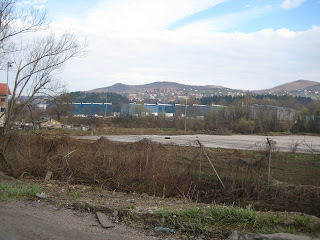 A Sarajevo rose--red clay filling in the spot where a civilian was killed.